The Best Nutty Maple Syrup Granola Ever! Here is the recipe for a delicious breakfast treat, or any time of day actually…this granola is really tasty sprinkled over a bowl of vanilla yoghurt. 1. 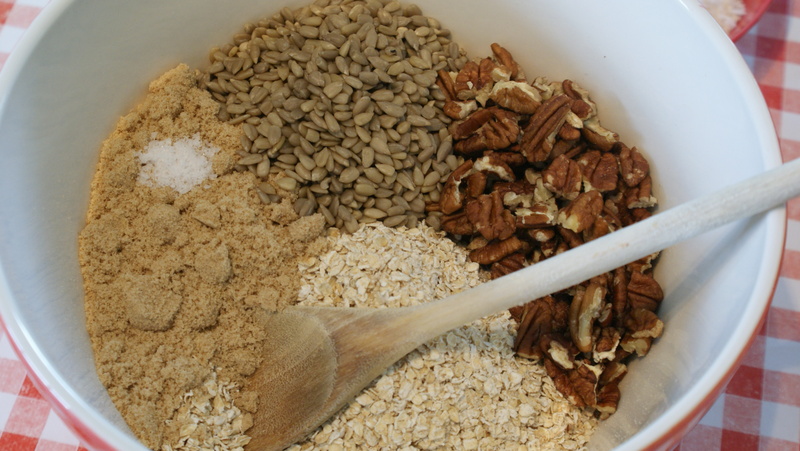 Mix the oats, pecans, sunflower seeds, brown sugar and salt in a large bowl. Stir well, breaking up any lumps of brown sugar. 2. 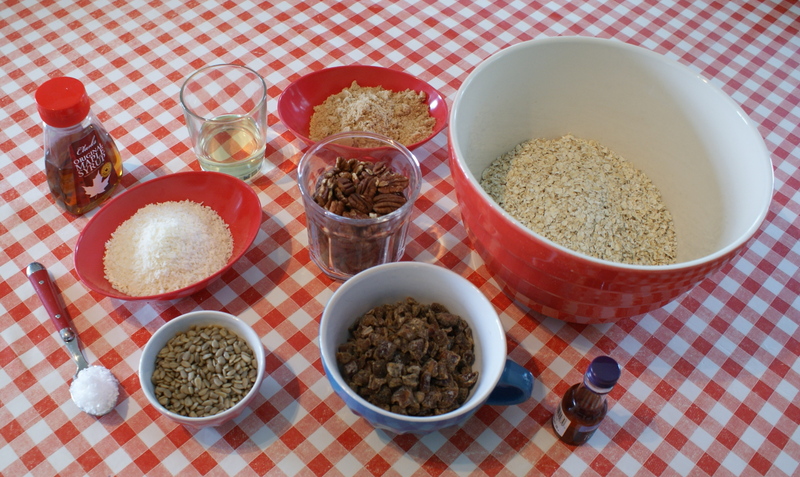 Combine the oil, maple syrup and vanilla and pour the oil mixture over the oat mixture. I found it much easier to do this bit in a lined baking tray (plus it saves on sticky washing up)…using two spoons, stir and toss until all of the oats are coated with the syrup. 3. Pop the granola in the oven and set the timer for 10 minutes. At the end of 10 minutes, remove the granola and stir, moving the granola around the outside edges into the middle and the middle out towards the edges. Set the timer for another 10 minutes. After the second 10 minutes, sprinkle with the coconut and then stir well again. Return to oven and set the timer for one last 10 minute bake. (30 minutes total, stirred twice at 10 minutes and 20 minutes). 4. 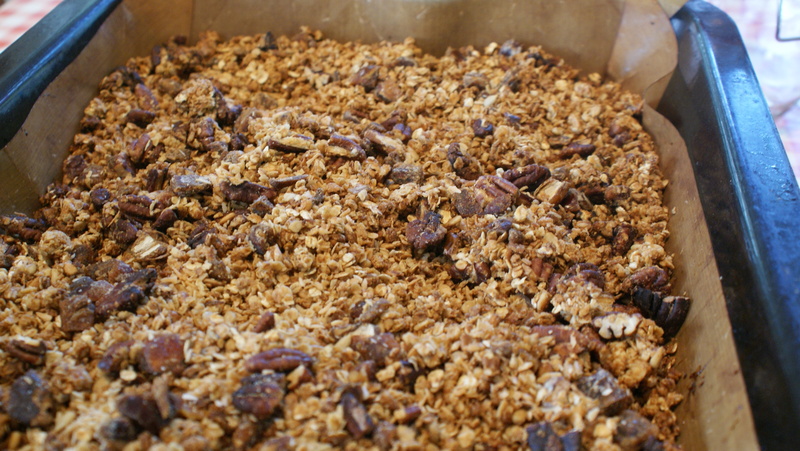 At the end of the last 10 minutes (30 minutes in the oven), remove the granola from the oven. Stir just a bit then sprinkle with the chopped dates (you could use raisins or other dried fruits) and leave undisturbed until it is completely cooled. 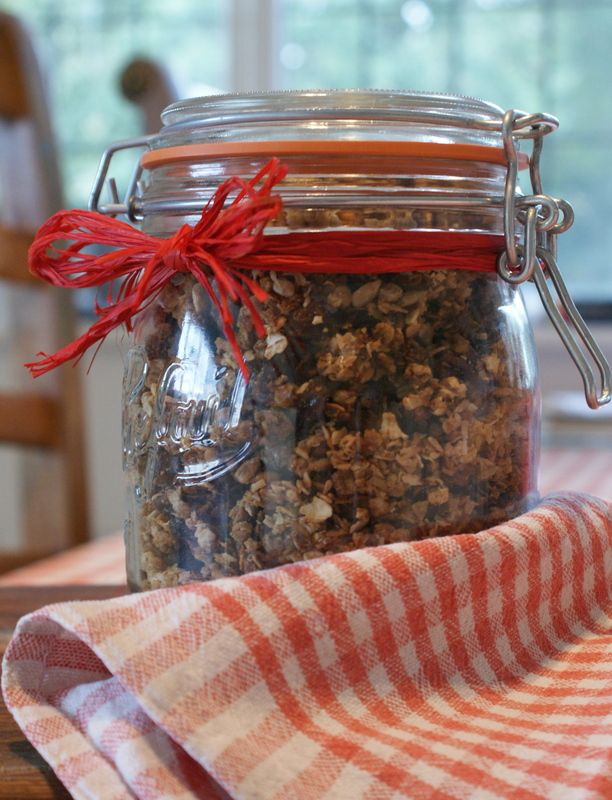 Once cooled, stir the granola…store at room temperature in an air-tight container. 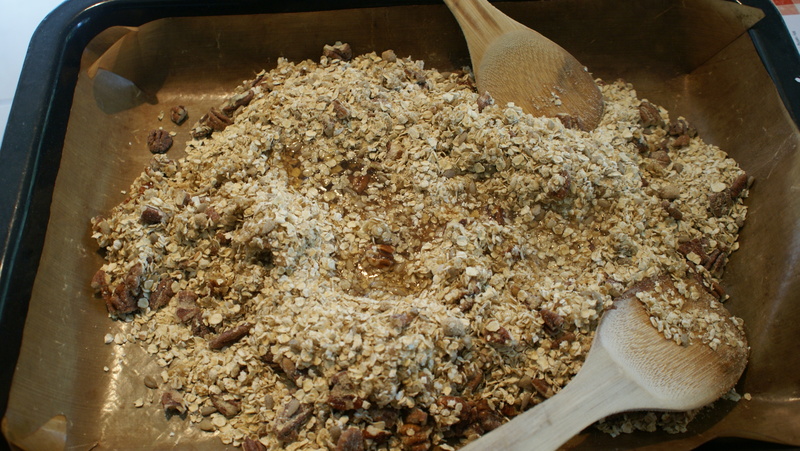 It will keep for several weeks which will be ideal to make ahead for Christmas, add cranberries for a festive granola. Next on the list to try are peppermint creams. Will definitely try this when I get my new kitchen…and look forward to the peppermint creams!